Are you looking for a bar/bat mitzvah project that could directly help people your age? Come join us at Kids v Cancer. Come create tikkun olam and make a better world for kids and young adults with cancer. You can make a difference. Set up a fundraising page to spread awareness and ask for support for kids with cancer. Learn about problems and how advocates work to identify solutions for the issues facing kids with cancer. Get involved in advocacy that makes a real difference. Come to Washington, D.C. and lobby your Senators and Representatives to help kids with cancer or lobby your local representatives. Hold a “card party” – gather friends and family to create inspiring messages and pictures for kids in the hospitals. Have other ideas? Great, just give us a call! What has Kids v Cancer done? 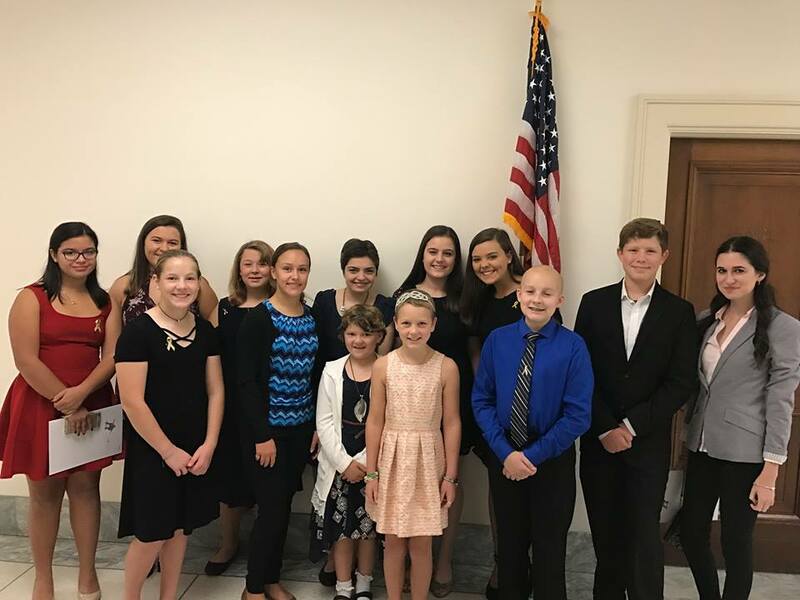 We wrote and successfully advocated for passage of the Creating Hope Act to bring financial incentives for pediatric rare disease drug development in the form of vouchers. The vouchers are now selling for almost $350M! There’s now a new pediatric cancer drug on the market due to this program! We wrote and are advocating for the RACE for Children Act which will give children with cancer access to the most promising treatments. We started the Compassionate Use Navigator Program to help families seeking compassionate use access to drugs for their kids with cancer. We started a Tissue Donation Program for families of dying kids to donate autopsy brain tumor tissue for research. We’ve helped major medical breakthroughs with this tissue. Ask FDA and NIH to end age discrimination in adult trials so that kids are not arbitrarily excluded from cancer trials just because they are not 18. With the completion of these programs, we believe we will witness a transformation in pediatric cancer research in which there is a dramatic increase in novel and promising drugs for our kids. Sick kids will be healthier. Kids with cancer will live longer. Kids with cancer may be cured.